This is a copy of the statue of David. It is located outside of Palazzo Vecchio. 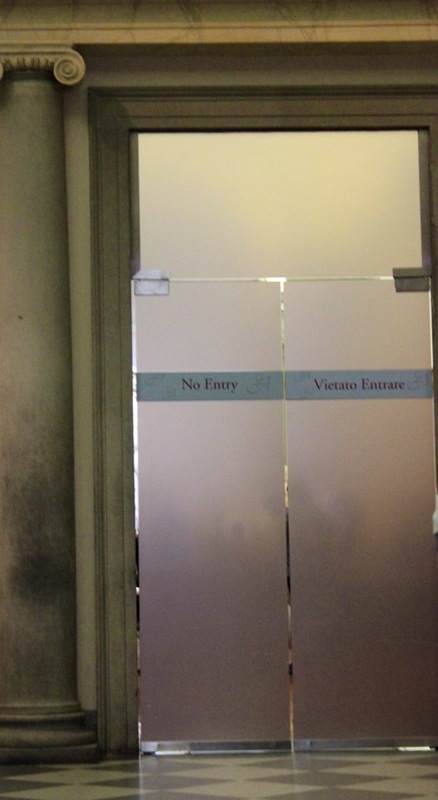 We didn’t have the time to wait in line for tickets to get into the gallery to see David -so I went in the exit (just for a quick second) and saw him through the crack in the door (the door that is in the above photo.) To me, that counts!!! If you look super close and squint your eyes a bit, you might be able to see him, too!